Although within Indianapolis city limits, Speedway was incorporated in 1926 and has its own separate government, town council, police, fire, street, parks & recreation departments, and also utilities and school district. It is also the home of the start of U.S. racing, Indianapolis Motor Speedway. The town of Speedway boasts nostalgia for all things automobile and it claims that the use of a garage rather than the traditional carriage house became popularized in this city first. There is a golf course that is located just east of the Indianapolis Motor Speedway, with a few holes in the infield. What are the best attractions in Speedway, IN? Speedway’s most famous resident is its namesake, The Indianapolis Motor Speedway. 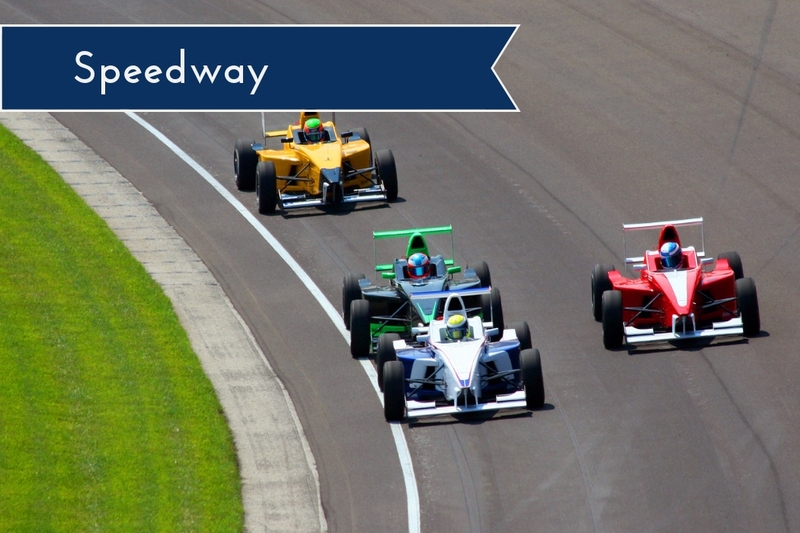 The Indianapolis Motor Speedway is completely encompassed within the small town of Speedway. Built in 1909, the Indianapolis Motor Speedway still stands as the largest sporting facility in history and is home to the Indianapolis 500 and the Brickyard 400. Where is Speedway, IN located? Speedway is among the Indianapolis area and within minutes of shopping or restaurants. The main thoroughfares are Lynhurst Dr and Crawfordsville Rd, along with close proximity to I-465. What Are You Waiting For? Move to Speedway, Indiana Today!